This INSTEON 2244-224 starter kit includes a hub, which connects to your router and lets you remotely control INSTEON-compatible devices throughout your home, including a compatible incandescent lighting device via the Lampkin 2-pin lamp dimmer module. 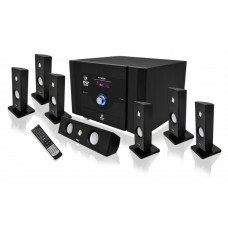 This 7.1 speaker home theater system from Pyle turns your TV room into a screening room! It comes wi..